Hey, Valentine’s Day is tomorrow! If, like me, you’re a) single and b) older than twelve, then that probably doesn’t mean much to you. Still, I’m no Scrooge. I don’t hate romance, or even cheap candy. I don’t hate ghosts either, but I really, really don’t want to look at Valentine’s Days past. So, half in honor of America’s cheesiest holiday, and half because I’ll do anything to avoid learning an important life lesson, here’s a review of a romantic comedy. With zombies. You could buy this, but…it’s more of a rental. The Plot: R (Nicholas Hoult) is a directionless, sensitive white boy in his early twenties. He’s also a zombie, which makes it pretty hard to get out and meet people. Instead of wasting all his time playing Skyrim or re-living his childhood through old cartoons, he spends his days hanging out in an airport with other zombies, occasionally groaning in almost-conversation with his zombie friend M (Rob Corrdry). Then, EVERYTHING CHANGES when he sees the beautiful human Julie (Teresa Palmer). Because she’s so pretty, he has FEELINGS. These FEELINGS make him save her from the other zombies. Sadly, he only does this after eating her boyfriend Perry’s (Dave Franco) brains. In spite of this, Julie slowly comes to have FEELINGS for her sensitive white boy savior, and these FEELINGS begin to make him feel more alive. Both literally and emotionally. So that’s cool. Will they be able to overcome social barriers in the form of Julie’s Mean Ole Daddy John Malkovich? Is Rob Corrdry supposed to be Mercutio? Because it’s like Romeo and Juliet, but with zombies. Seriously, there’s even a Nurse (Analeigh Tipton) and a balcony scene. As a fellow directionless, sensitive white boy, I get where R’s coming from. I, too, have fantasized that the girl whose boyfriend I’ve just murdered will see through my directionless, zombie-like exterior and grow to love the real, sensitive me underneath. Well, minus the murder thing. That seems like a pretty big hurdle. 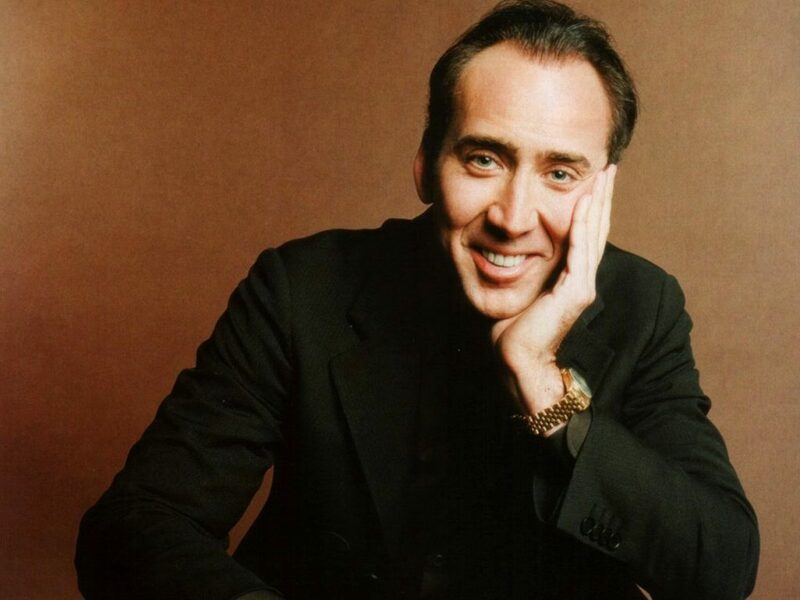 Still, that fantasy is usually supplanted by the one where I get paid to write these reviews, or that dream of dreams where Nic Cage and I are best buds and I’ve written the movie that revitalizes his career. Dream big, kids. It’s interesting that R is defined first by a total lack of ambition, then predominantly by a desire to get Julie to like him. He doesn’t have any fantasies beyond her. I get that he’s a zombie who can’t remember his past life, but geez. That’s pretty directionless, even for a sensitive twenty-something white boy. I’m probably being too hard on Warm Bodies, though. Sure, it would have been nice to see a more complex relationship, or to have a female lead with some depth, but at the end of the day, this is not a movie with much room for nuance. This is a movie where love is the cure for zombies. It literally can bring them back to life. 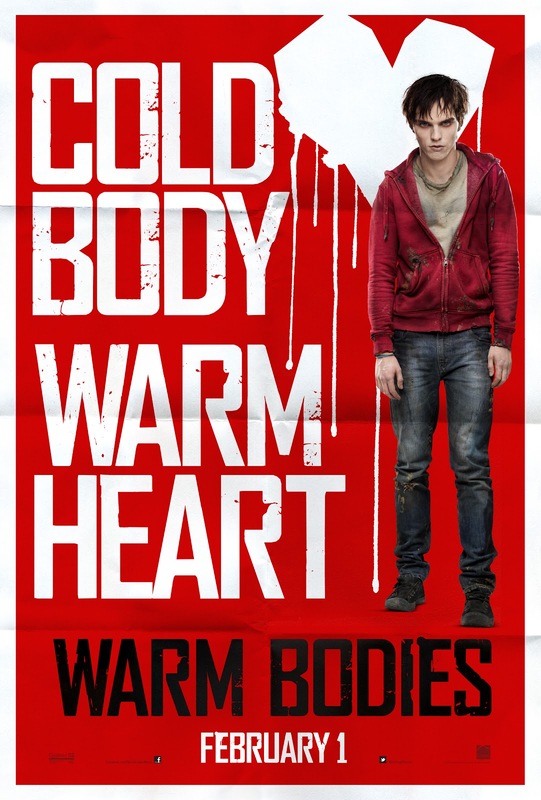 That sounds super cheesy on paper, but Warm Bodies is just earnest and simple-minded enough to pull it off. It’s sweet and optimistic, and Hoult is super adorable, even in scenes where he can’t speak more than a garbled “hello.” By the end of the movie, all that simple-minded optimism had won me over. 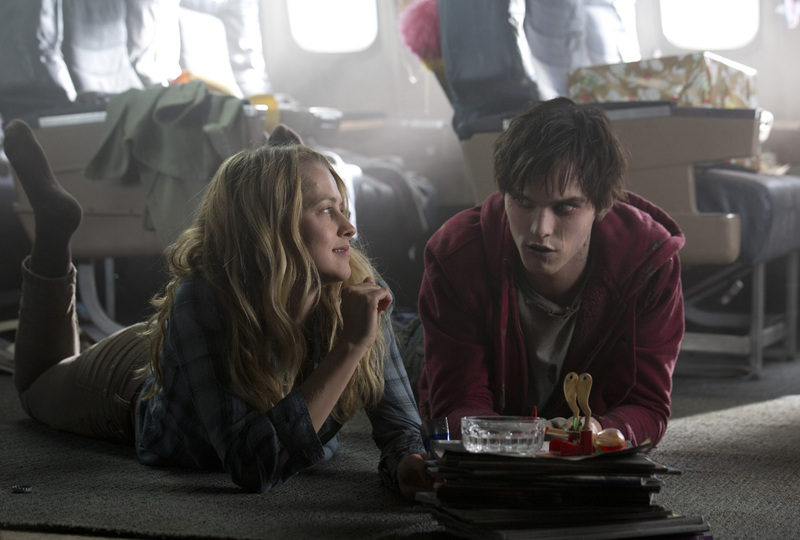 It helps that Warm Bodies is able to do something fresh with the zombie genre. Quite frankly, that’s amazing. Zombie movies have become stagnant in the last couple of decades. Right now, the norm is stuff like The Walking Dead, so most zombie movies are about unlikeable people bickering and getting eaten. Warm Bodies is about likeable people trying to overcome their differences with love and compassion, which is both weird and refreshing in a zombie movie. That having been said, the film suffers a little from bland antagonists, or “blantagonists.” John Malkovich really phones it in, but it’s hard to blame him. Julie’s father isn’t developed much beyond being Strict and Hating Zombies. Even worse are the “Bonies,” uber zombies that have shed all vestiges of humanity and turned into really spry skeletons. They’re the kind of CGI baddies put there so the movie can have some action and the humans and zombies have an easy reason to team up. As I said, bland. But, again, most of these sins can be forgiven. Warm Bodies doesn’t want to be anything more than a sweet, hip romance; a cool new Romeo and Juliet with a SPOILERSPOILERBUTNOTREALLY happy ending. It succeeds in that, so who am I to condemn its shallow romance and lame bad guys? 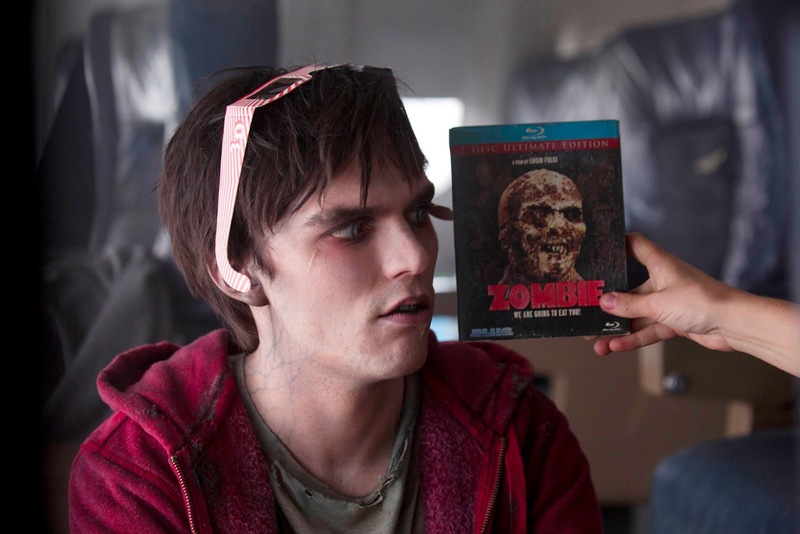 Warm Bodies made me smile, so final verdict: it’s nice, don’t over-think it. Nice review. Life lesson: Eat brains, dream big.